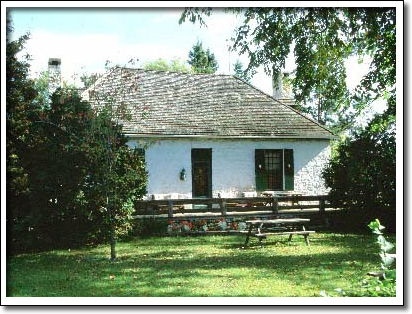 The construction of stone buildings was an ambitious undertaking in Manitoba before 1870 (the Red River Settlement era). Usually reserved for institutional or commercial structures, few private individuals could afford the expense. The former Thomas Bunn House is one of these rare examples. It was built between 1861 and 1864 by Samuel Taylor, a local farmer and stonemason who also worked on a number of other stone buildings, the most notable being St. Clement's Anglican Church. Thomas Bunn, a Métis farmer, was also a well-known lawyer and politician of the day and was active as a representative in both Louis Riel's first Provisional Government and Manitoba's first Legislative Assembly.